Crêpes are always one of the first things I teach my culinary competition students. The reason why I chose this recipe is that we go to a competition every year where they have to come up with something on the fly. Having a great crêpe recipe in the back of their mind will ensure that they can figure something out using that base if they need to. 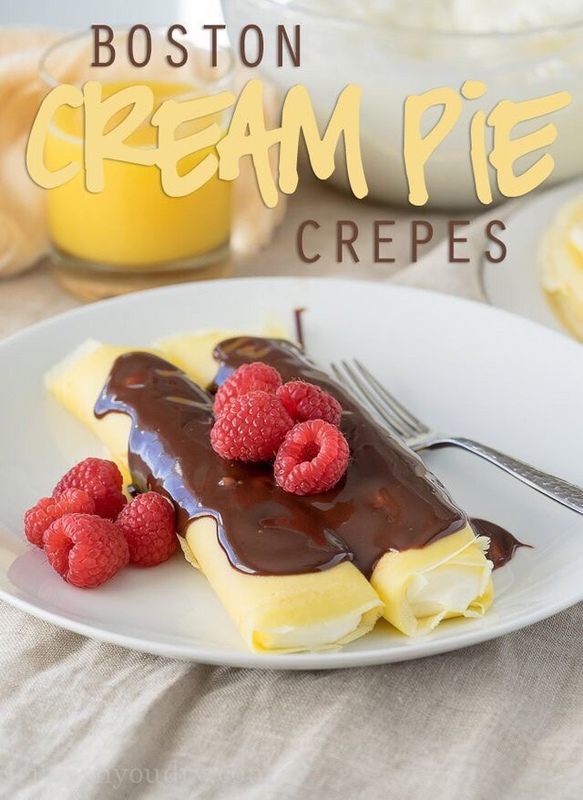 Crêpes can be either savory or sweet, so I figured I would give you a few recipes to get you going. 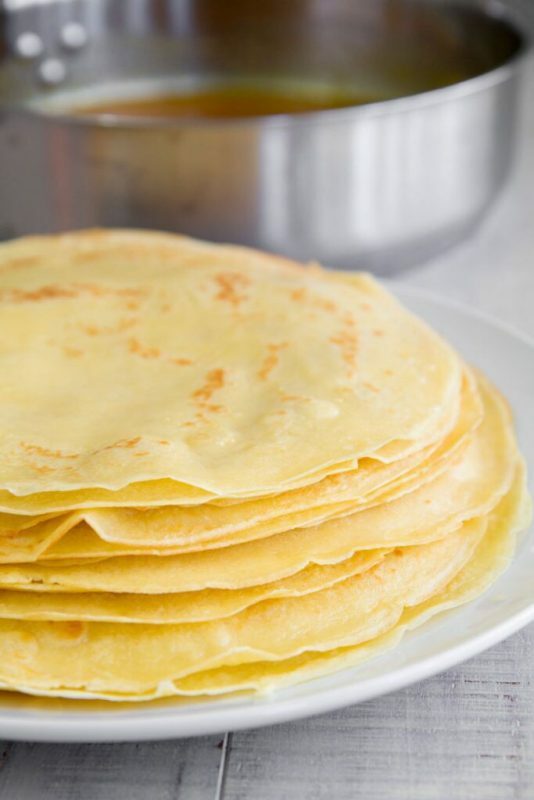 This base recipe will get you started making crêpes. For the most part, this recipe doesn't change. What does change is the filling inside of the Crêpes. If you don't know what crêpes are, I usually tell people they're like a thin, eggy pancake. 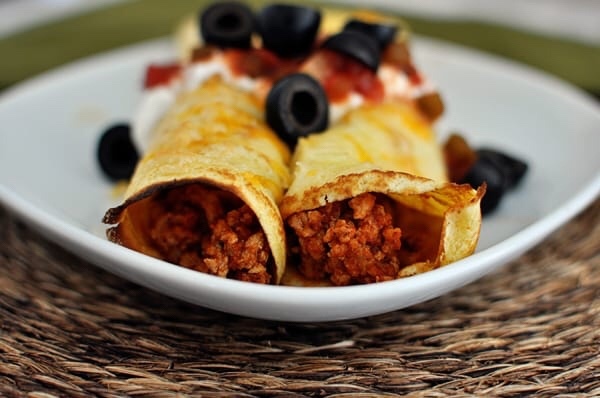 Typically after they are made, you roll them up with something inside of them and then drizzle something on top. 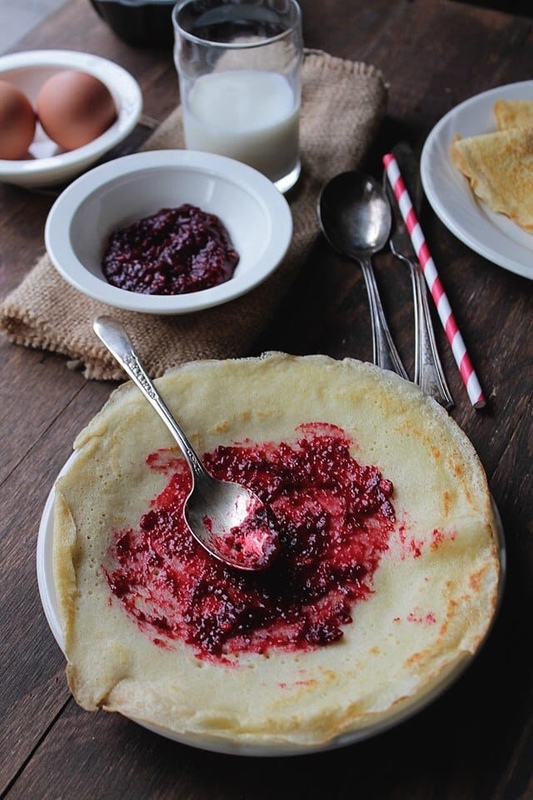 For the history of crêpes and a basic recipe head over to Philosokitchen. 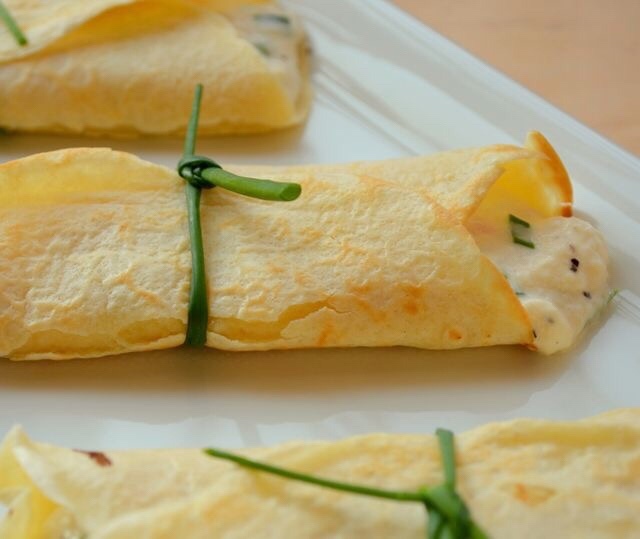 Savory crêpes or something that typically has meat in them or at least have something a bit more filling and less sweet than a sweet crêpe would. Naturally, I'd like to fill mine up with sausage or bacon and some cheese. 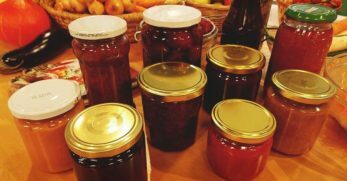 However, after seeing some of the ideas I'm about to give you I was looking forward to trying some new recipes. 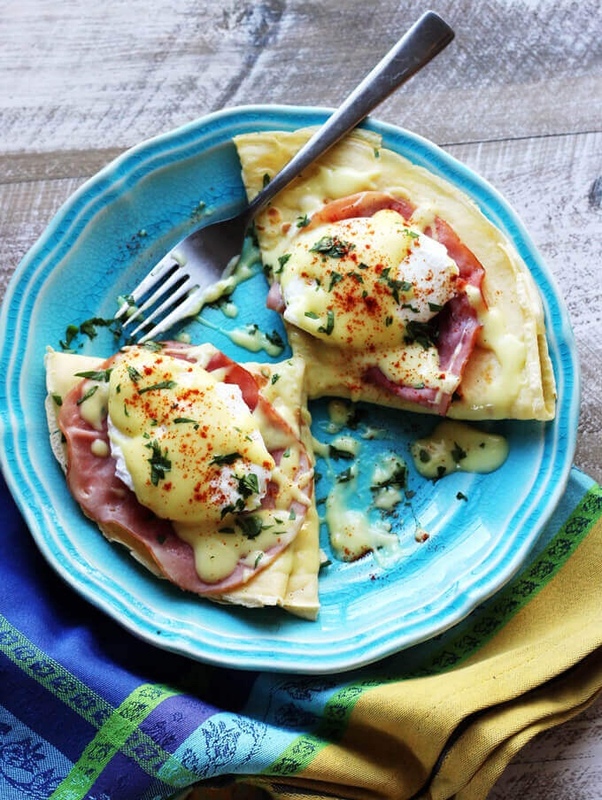 Eggs Benedict is one of my favorite breakfast recipes if I'm looking for something a little bit more filling and on the “bad side” of breakfast food, given that it is not as healthy as other options. Sometimes it feels good to be bad! One of my favorite things about eggs Benedict is the hollandaise sauce. It's so rich and creamy and perfect underneath the English muffin. 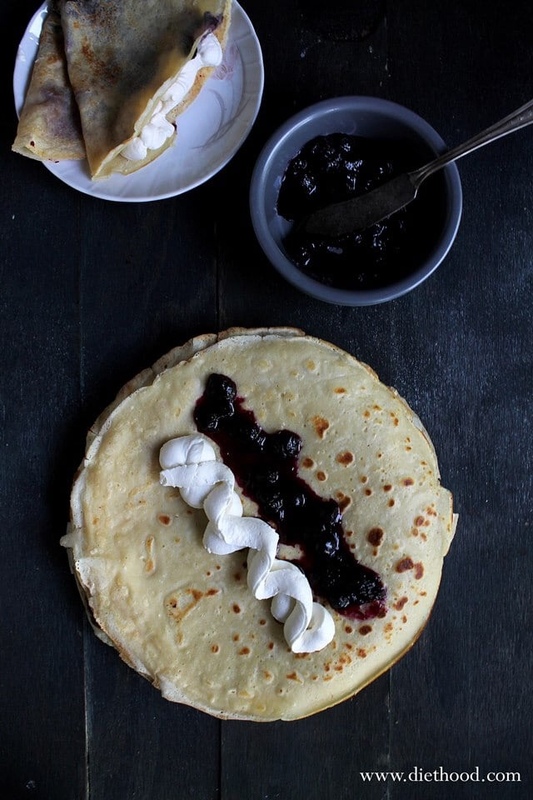 The author substitutes the English muffin in the traditional recipes for the Crêpes. I enjoy the bread portion of the dish but am looking forward to trying the recipe created by innocent delight. Montecristo's are typically made with French toast and provide a little bit of sweet and a bit of savory. If you're looking for something in the middle, this would be the one to go for. 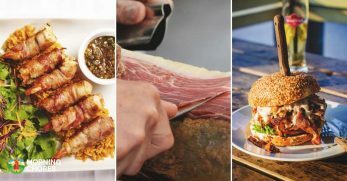 Head over to taste and tell blog to see it for yourself. 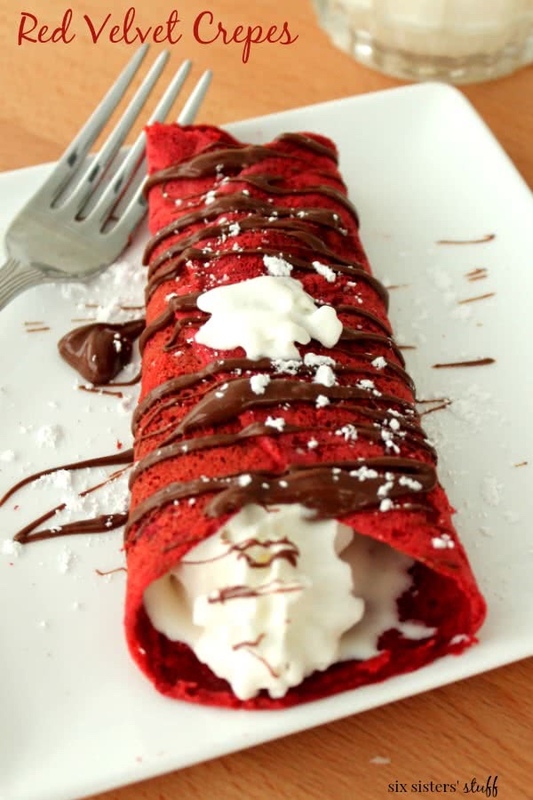 This is probably the crêpe recipe that I'm most looking forward to trying. 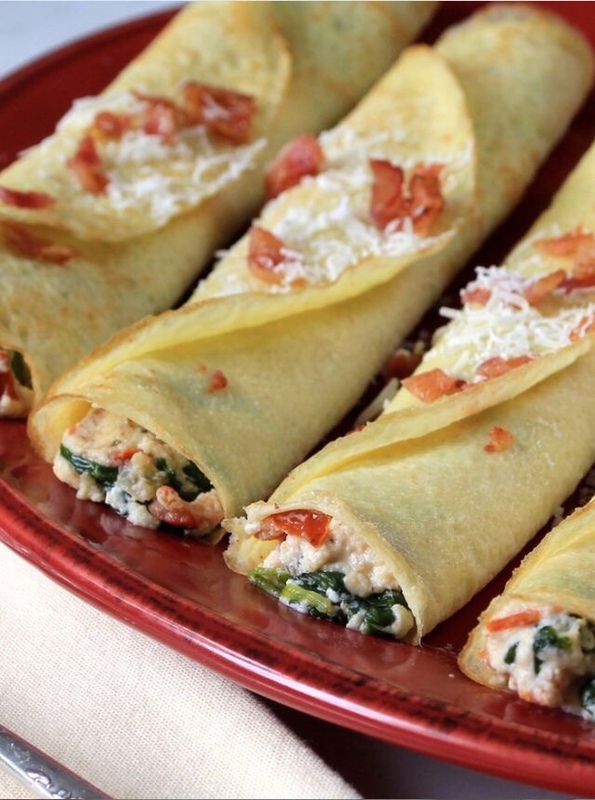 The reason being is that I enjoy the bacon inside of my crêpe and I love spinach and ricotta cheese as well. If you have never had ricotta cheese, I highly recommend it. I usually eat the cheese with a little bit of sugar and add it to my sweet crêpe. I think I will mix it up a bit and try the recipe that was created by Analon. I think the difference in this one is that it would make a good lunchtime meal instead of a breakfast meal. 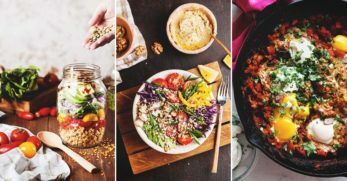 If you don't believe in the boundaries of breakfast needing to be breakfast style food, then this should be a go-to recipe for your cookbook. I definitely would use fresh from the garden tomatoes and goat cheese that you got from the farmers market or maybe even your own goats. 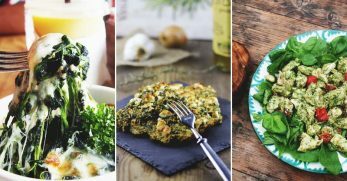 Head over to Naturally Ella to see this gluten-free recipe. This is where the creativeness comes in. Every year for the last two years at the competition that we go to, seafood was one of the ingredients. Therefore, this would be a great recipe for us to try out. 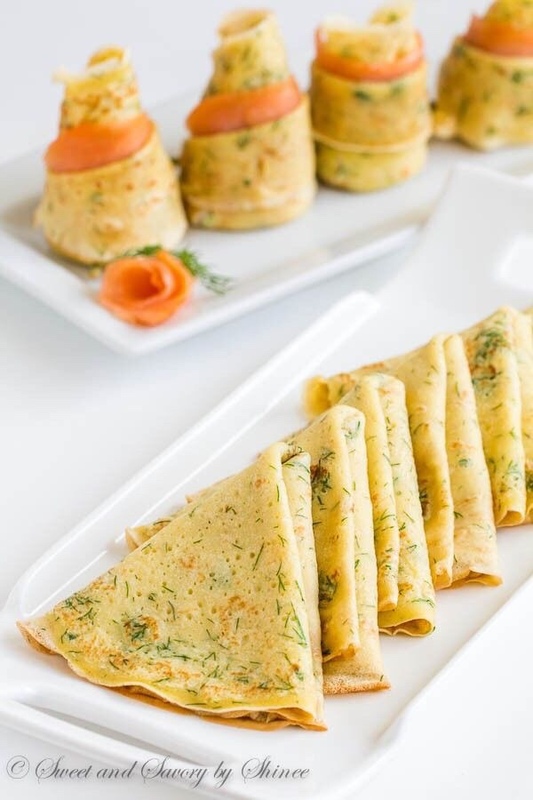 Knowing this, the crêpe recipe with dill salmon is important to me because it can help my students prepare for the competition. 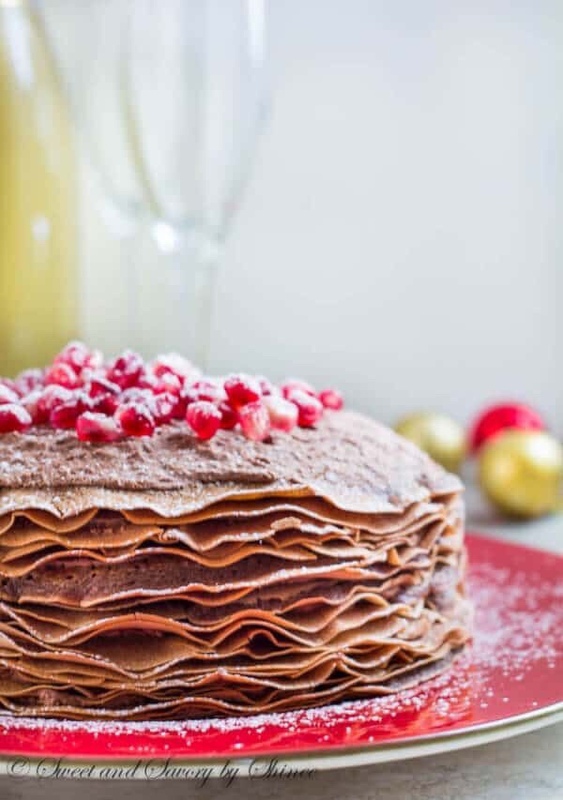 I love how they decorated and stacked the folded crêpes. Combine that with the dill in the crêpes and Sweet & Savory by Shinee wins the plating award for this section! Not to mention it sounds delicious. I am the only one in my house who likes mushrooms, so that's one we wouldn't use very much where I live. 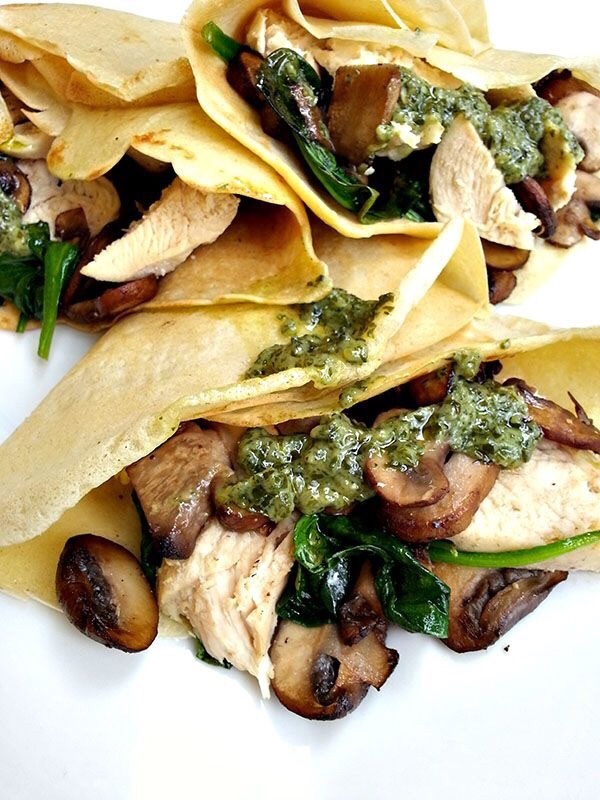 That being said, if I had them in my culinary kitchen, I would make this recipe in a flash because every one of my culinary students enjoys mushrooms. I think it would go over well because it reminds me of an omelet. Check it out for yourself Cherry on my Sundae. 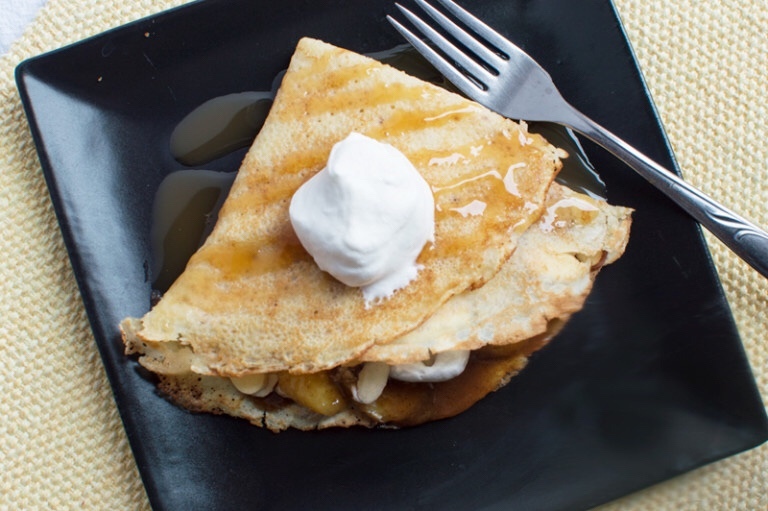 This crêpe recipe makes me think of fall. To be honest, anything made by Williams-Sonoma is something that I am going to love because the recipes are delicious. I say that because every single one that I've ever made has come out perfectly and made my mouth water just thinking about it. 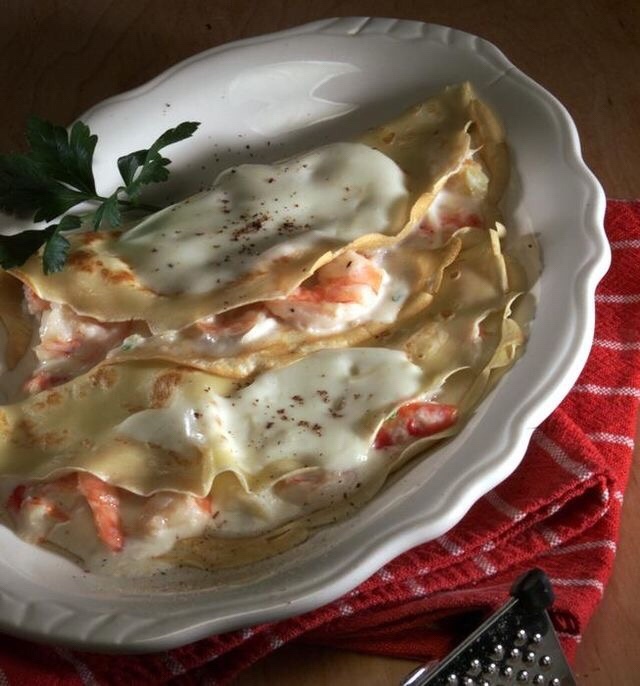 Another recipe that has me drooling is this crab and shrimp crêpe. The sauce almost reminds me of a fettuccine Alfredo type of sauce. Pouring that over something that puts me in mind of hot, coastal summers makes me happy. To get the full recipe head over to the LA Times. 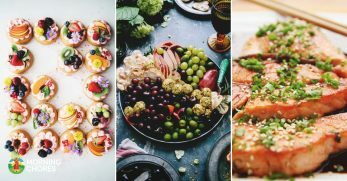 This recipe by kitchen concoctions would be delicious in the fall. 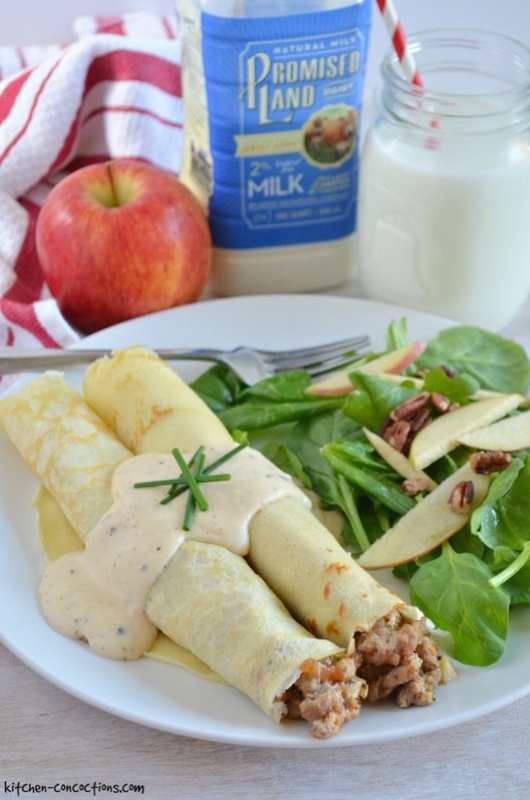 The taste of apples and sausage put together wrapped with a thin pancake and drizzled with sauce is perfect. 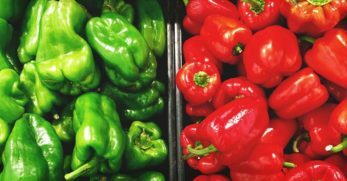 You could do a savory sauce or even maple syrup, depending on your mood. That said, this might be one that is good to freeze the crapes, and freeze the filling and just eat whenever you feel like it. In France, this is not unusual. Mel's Kitchen Café came up with this unique blend of Mexican style food as well as French style food by adding the cornmeal into the crêpe recipe and then turning the insides into a taco enchilada. 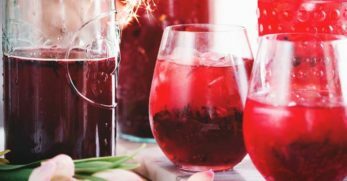 Given that I live in Texas, I think this one will go over very well for a brunch recipe, especially when you add a Bloody Mary! This recipe sounds delicious and will be something that I would eat for lunch. Or maybe even brunch I'm not sure. My girls fell in love with crab rangoon the first time that I ever made it at home. 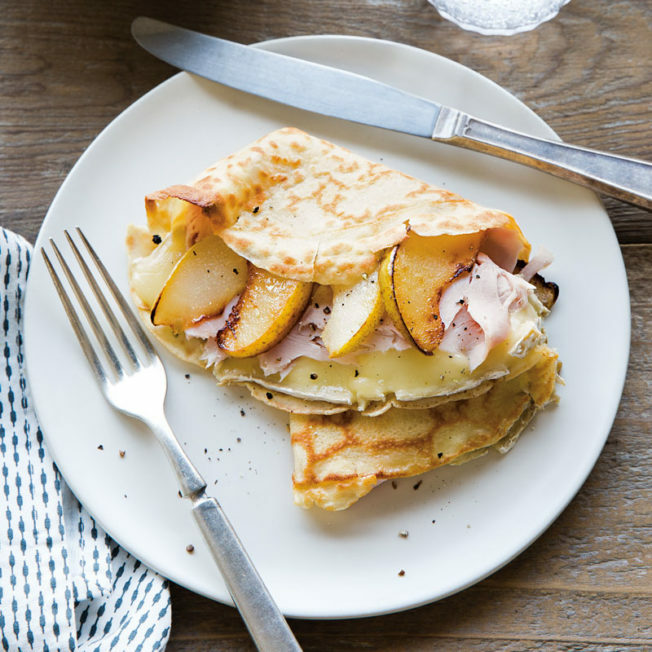 Changing out the wonton dough and putting in a crêpe is a great idea for a breakfast twist on this classic. 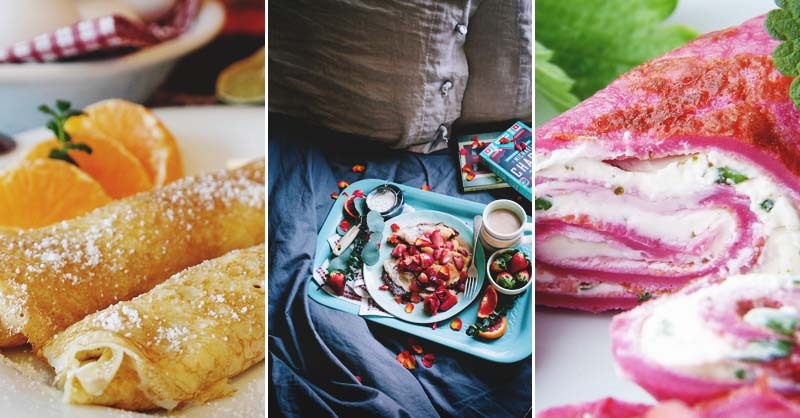 One great thing about writing this post is that I feel like I am broadening my ideas on how crêpes can be made. I attribute that partially to builicious. 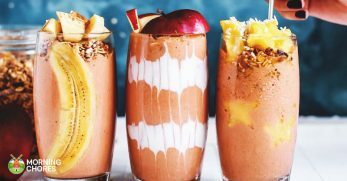 Here comes another unique breakfast recipe. I would call it brunch. 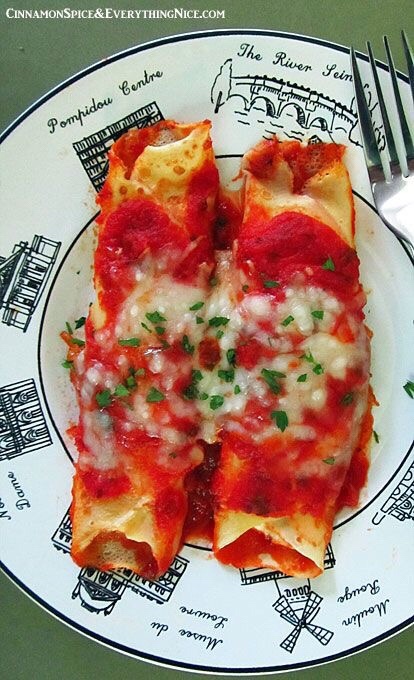 Manicotti usually is ricotta cheese stuffed in shells, but for this one, they took out the shells and used eggs. 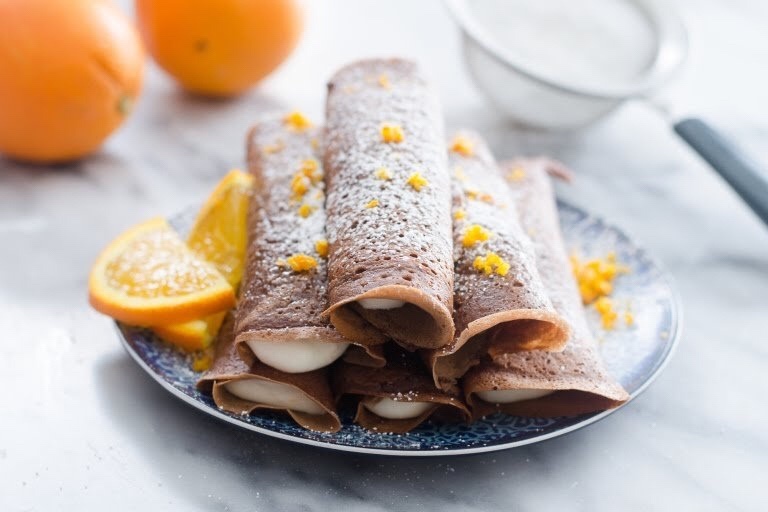 If you had a person who preferred gluten-free food, you could turn these into gluten-free crêpes and make this for the person for them to not have to miss out on a great dish. To see the full recipe visit cinnamon spice & everything nice. 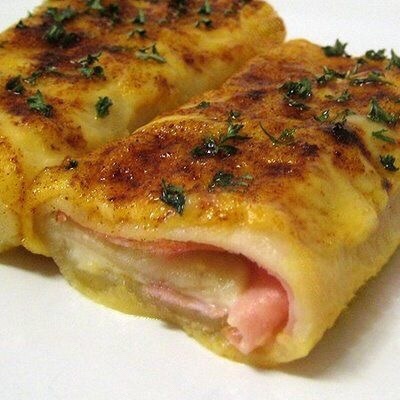 I would describe this recipe as a Crêpe stuffed with ham and cheese. On top, there is more cheese and herbs. The name itself suggested it's probably a Mexican style dish. Either way, it looks like a sandwich and has me drooling for brunch. Do you feel the same way? Then head over to Real Mom Kitchen. 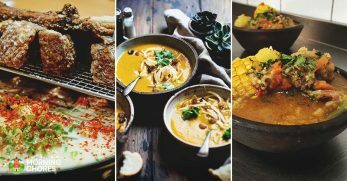 I chose this recipe because it uses curry powder and I recently just finished a book called Eight Flavors. In this book, curry powder was one of the eight flavors that Americans use most often and yet gets no love from the majority of people. 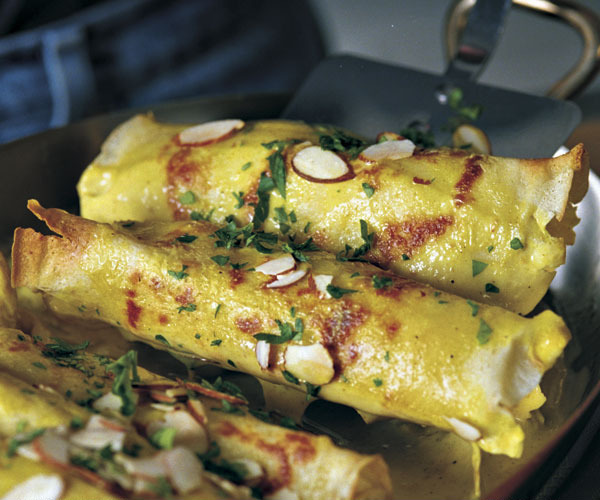 This is my way of sending my love to curry through a delicious crêpe recipe. The recipe can be found over at fine Cooking. Sweet crêpes are what I think of whenever I think of this typical breakfast fare in America. Typically we fill them with fruit and cream cheese style filling. This time, we are going to see something a little bit different. I hope you enjoy! Berries are by far my favorite type of fruit. Naturally then, this recipe looks delicious. Use your KitchenAid mixer. With the whip attachment, beat the cream and sugar on ten until it shows the design of the attachment. 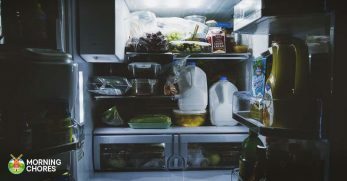 Be careful with this one, make sure to watch it because if you walk away and it goes for too long, you will have butter! My favorite method is to use my whip cream canister (similar to Starbucks) and just let the nitrous do the work. I have never had a bad batch! Adding honey to the whipped cream sounds delicious especially paired with the blueberries. You can find this recipe over at Diethood. 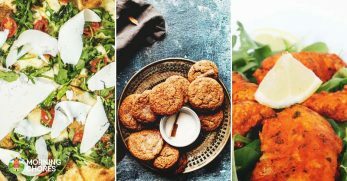 The Recipe Rebel has some of the best recipes I've seen on the web. Not to mention her photography is impeccable. If you like cannolis, then this breakfast dish would be for you. Paired with a cup of coffee, you know it's going to be a perfect way to start your morning! 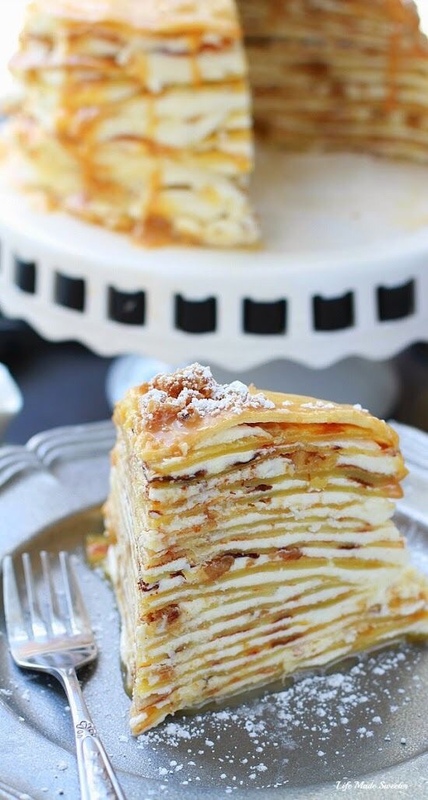 This also would be a great fall recipe, with the apples in the salted caramel and the goat cheese. 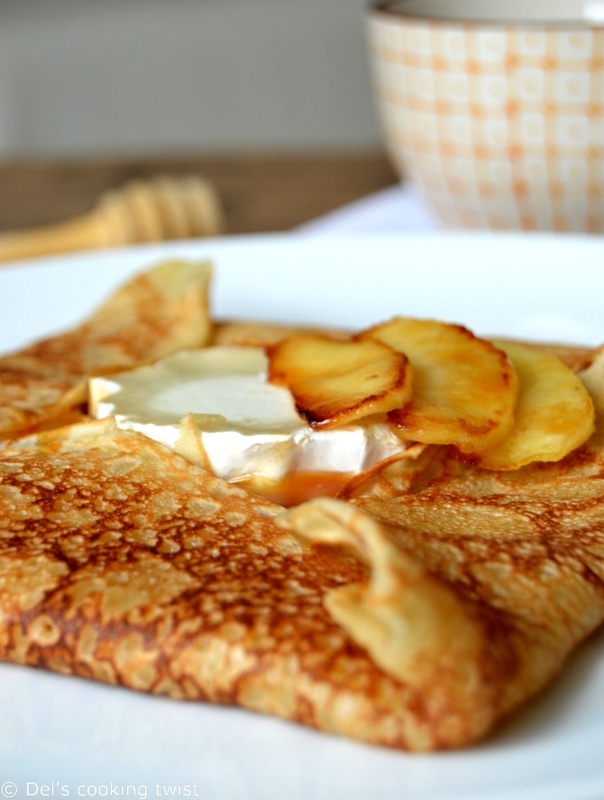 Being able to pick apples from your own backyard or a you-pick would be perfect for these Crêpes. I will say it again, having fresh goat cheese from the farmers market or even your own goats adds to the greatness as well. Understandably, I like to come as close to the source as possible. 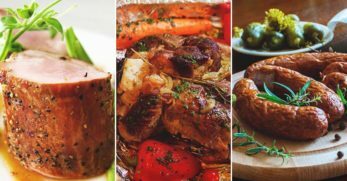 To get this delicious recipe head over to Del's cooking twist. Amaretto is a sweet, almond-like flavored liquor that naturally would pair very well with bananas. 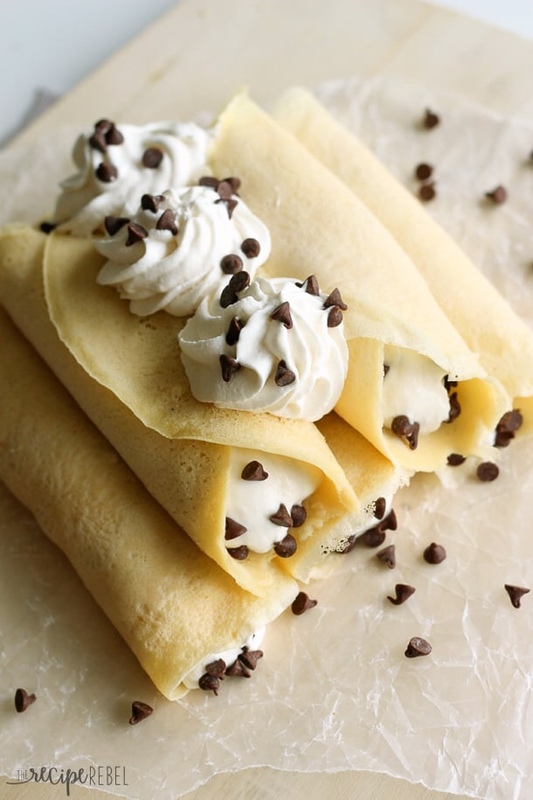 Several of the crêpe recipes that I found on the sweet side of things use bananas. Which is good for my family because, minus one of us, we all love bananas. 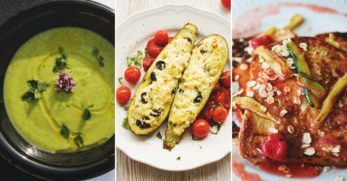 Head over to That Square Plate to get this great recipe. 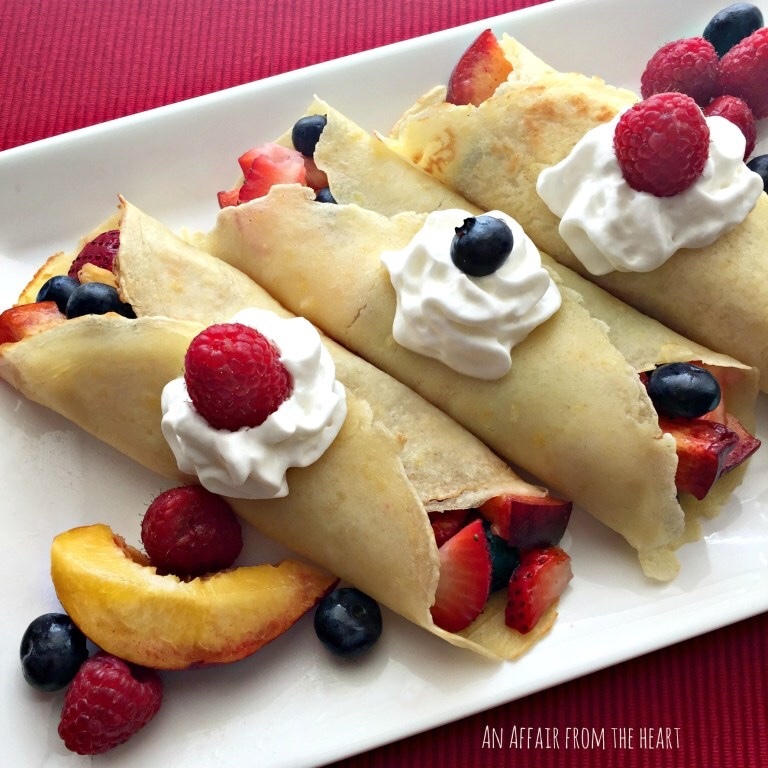 Here's another fruit filled crêpe recipe that looks delicious. Naturally, I would think so since I am a big fan of berries but the peaches add an interesting twist as well. I would cut them a little smaller than An Affair from the heart does in this picture. 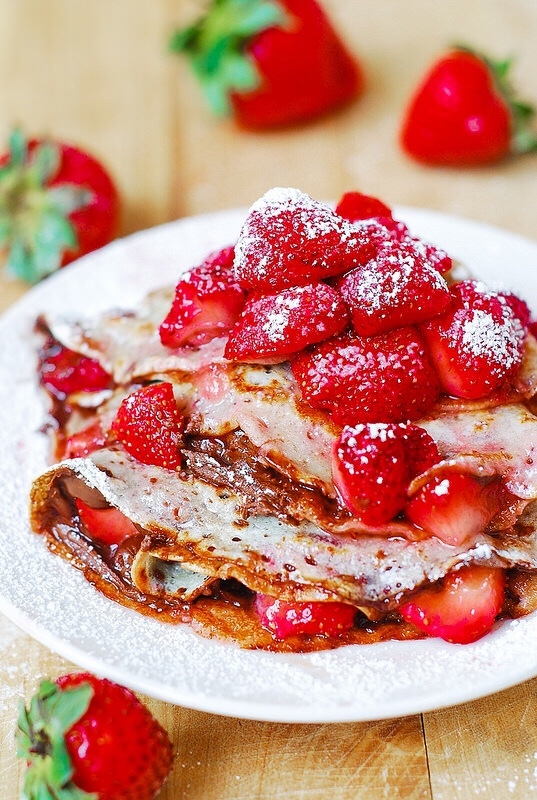 Since this set of Crêpes is made into cake form, I would use it as a brunch after a savory dish. Made with chocolate and filled with mousse I'm already drooling, and I cannot wait to try it out. 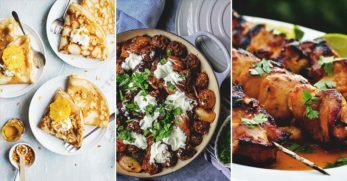 See the recipe for yourself over at Sweet & Savory by Shinee. 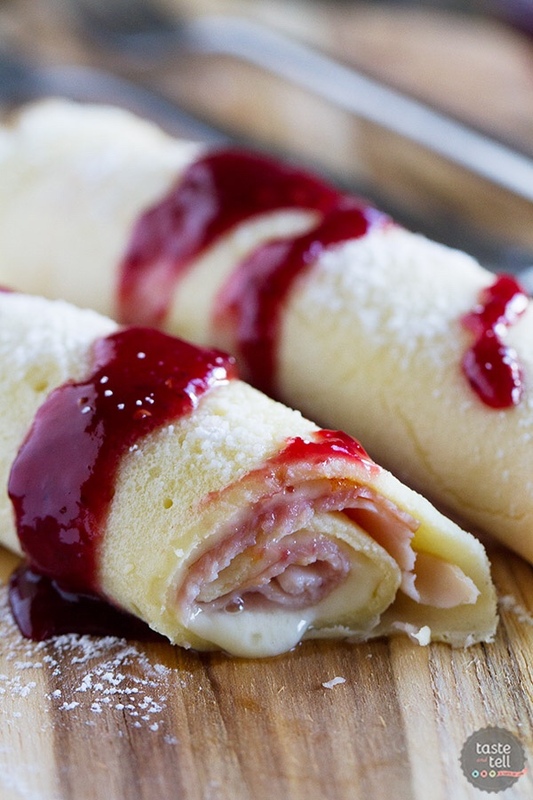 This recipe, brought to you by the popular Diethood, looks delicious with the lemon in the crapes and raspberry filling in the middle. Adding a little fresh mint flavored whipped cream would make it over-the-top, in my opinion. Now you know I had to add a Smore's recipe to this list. It wouldn't be my list without one. 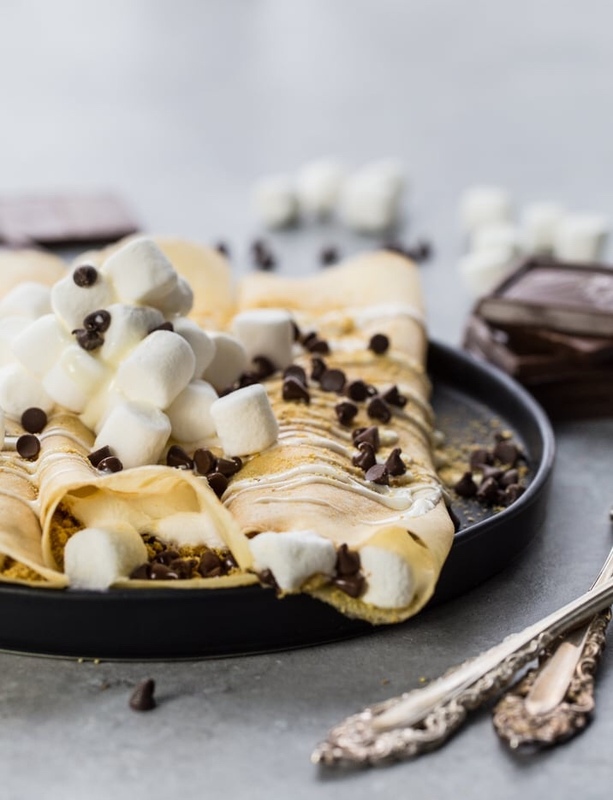 Marshmallows Graham Crackers and chocolate sound like a perfect thing to put in a crêpe. To be honest, it's a perfect set of ingredients to put in just about any sweet chocolate style dessert. To see the full recipe head over to The Cookie Rookie. 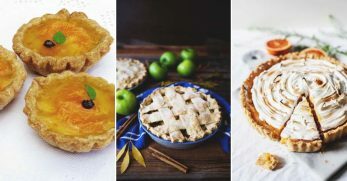 The next two recipes are delicious during the fall. 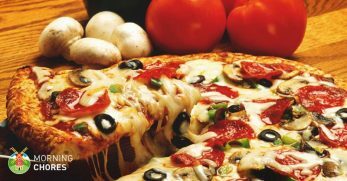 This is when the more hearty but still sweet style of food is most popular. 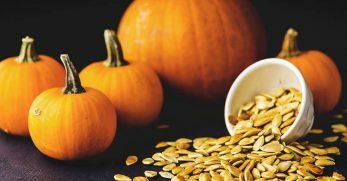 Then again, if you are like me and summer seems to last forever then this recipe is suitable for those time's when we're craving something fall-like. 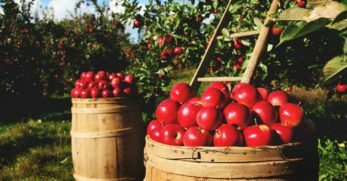 To check out this apple cinnamon head over to Cook with Manali. 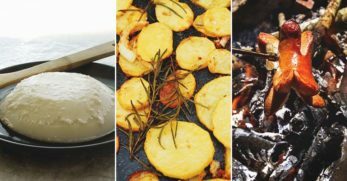 This fall recipe will take you right into winter. Which is perfect for me, because I'm going to try it out very soon. 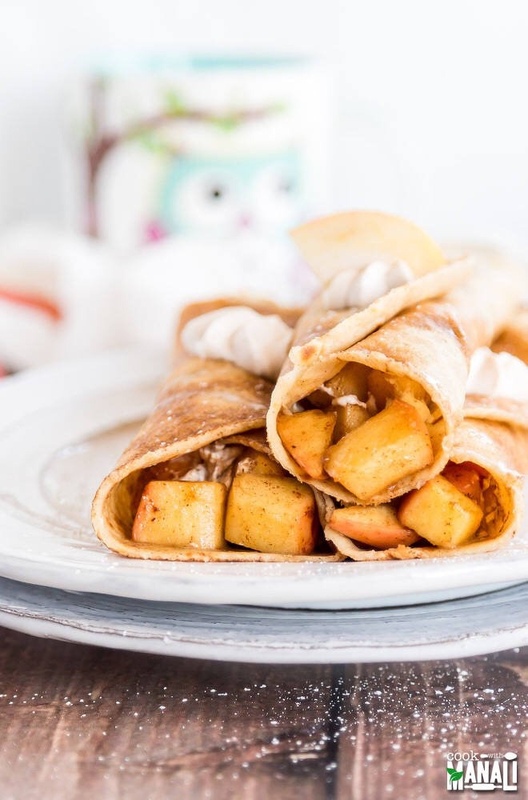 If you like maple, pecans, or pralines then try to this crêpe recipe over at Life Made Sweeter. 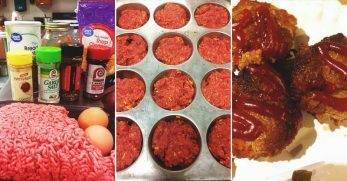 As much as the last recipe was for me, this recipe is for my students. It seems that the generation that is in high school right now likes red velvet flavors. So if you have a teenager in your house that likes this flavor, then this one's for you. You can check it out over at Six Sisters' Stuff. Nutella is also an ingredient that is just at the market within the past couple years and yet is making big waves. Combined with strawberries you know it's going to be a delicious treat. You can get the recipe over at Julia's Album. Boston Cream Pie is delicious. Put that in crêpe form and you're guaranteed to have a tasty breakfast that would pair well with sausage or bacon. Check it out over at I wash, you dry. 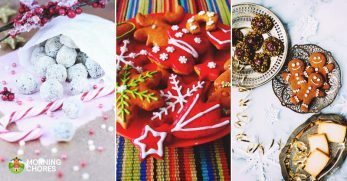 Written by The Pioneer Woman, this one is dedicated to my husband who loves the orange chocolates at Christmas time. Check out some of our other Ree Drummond favorites here at Morning Chores. I feel I saved the best for last. 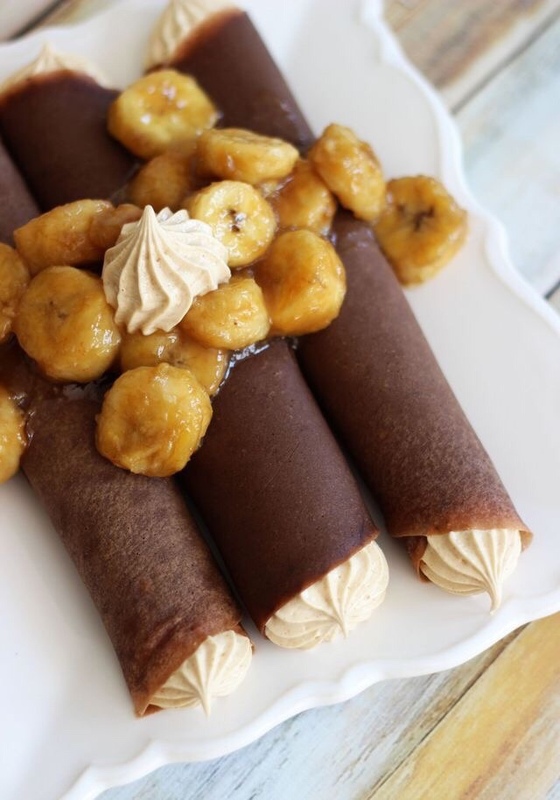 The chocolate in these Crêpes, as well as the feeling and the bananas, are divine put together and I can't wait to try this recipe very soon. 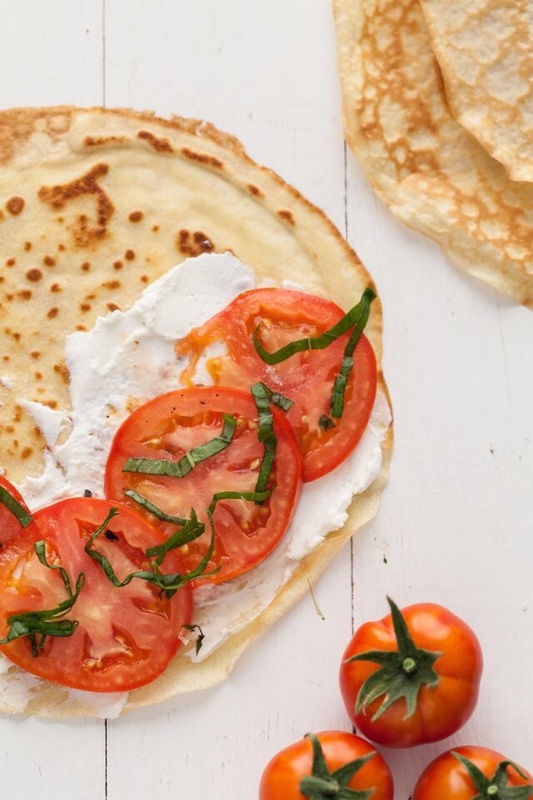 These crêpe recipes are a sure-fire way to give you something new and exciting to try whenever you're looking for a brunch or breakfast treat.